Home » » After Selling Assets, FG May Sell Nigerians As Slaves To Fund Budget - Afenifere. After Selling Assets, FG May Sell Nigerians As Slaves To Fund Budget - Afenifere. Atiku Abubakar, the presidential candidate of the Peoples Democratic Party (PDP), has faulted President Muhammadu Buhari’s plan to sell public assets to fund the 2019 budget. Atiku described the plan as fiscally irresponsible, noting that it was irresponsible to sell valuable assets and then consume the proceeds. The Federal Government had announced a couple of months ago that it would raise N289 billion from the sale of 10 public assets to fund the 2019 budget. The former vice president said selling public assets would ridicule Buhari, and pointed out that some of the assets listed for sale in the policy document of Buhari’s administration were assets built or established under PDP administrations. In a statement by his Presidential Campaign Organisation on Wednesday, Atiku recalled that on Monday, October 29, 2018, while delivering the 75th Anniversary Business Lecture of the Island Club, Lagos, President Buhari accused past leaders of PDP of not building public infrastructure. Part of the statement reads, “However, some of the assets listed for sale in the policy document of the Buhari administration were assets built or established under the PDP administrations that governed Nigeria between 1999 and 2007. Some of them were the brain child of the presidential candidate of the Peoples Democratic Party, Atiku Abubakar. As head of the Economic Management Committee during the Obasanjo administration, Atiku said he supervised the successful policy of privatisation. “Privatisation works because it is a long-term strategy to engender efficiency in the economic system and expand the frontiers of private sector activity. Its primary goal is NOT to raise money for short term stabilization of what is clearly a fragile fiscal system. The government’s planned sale of assets will cause long term pains and only provide short term gains. “It makes no sense to sell public assets simply to fund a ‘business-as-usual’ budget that is essentially 70% recurrent. It is irresponsible to part with valuable assets simply to consume the proceeds (Like selling your family house to take a trip overseas on holiday),” he said. Atiku said that last month, he questioned the wisdom behind the Federal Government sharing $322 million Abacha loot to certain Nigerians, only to obtain a $328 million loan from China, allegedly for ICT development. “Also, we recall that $43 million was found in an Ikoyi apartment. While we note the failed promise of the Buhari administration to come clean on who was behind those monies, we make bold to say that those funds should equally have been placed in escrow for use in funding the 2019 budget,” the party said. The former vice president pointed out that he helped build and develop national assets that are now so valuable that they can be sold, adding that creating more of such assets was at the core of his agenda to get Nigeria working again. “It is our hope that the Buhari government will accept this patriotic pro bono advice and retrace its step accordingly,” the party said. In support of Atiku’s viewpoint, the pan-Yoruba socio-political organisation, Afenifere, argued that the only solution to the myriad of crises being faced by the country was restructuring, which would allow states of the federation to harness resources in their domains for national development. Speaking in a chat with Daily Independent, Afenifere’s National Publicity Secretary, Yinka Odumakin, said the group was afraid that having sold all the national assets, the government might take more drastic measures, such as selling Nigerians as slaves in order to fund future budgets. “We are getting there but they are not accepting it. We told them in 2015 that there was no way out except we restructure Nigeria, that Nigeria has to be productive, but they said they are bringing change. Which change are they bringing? Now they are there. “When the APC government came into power in 2015, our local debt was N11 trillion, it has increased to N26 trillion in three years. Now they are telling us they will sell assets. If after selling all these assets, there is nothing more to sell, they will start selling us as slaves to slave traders to fund the 2019 budget. “Except Nigeria becomes productive and we allow every state to go and be digging under their soil and bring out what is there. We take all those items from the exclusive list, reduce them and allow every part of Nigeria to be productive, there is no way out and that is what they are showing. 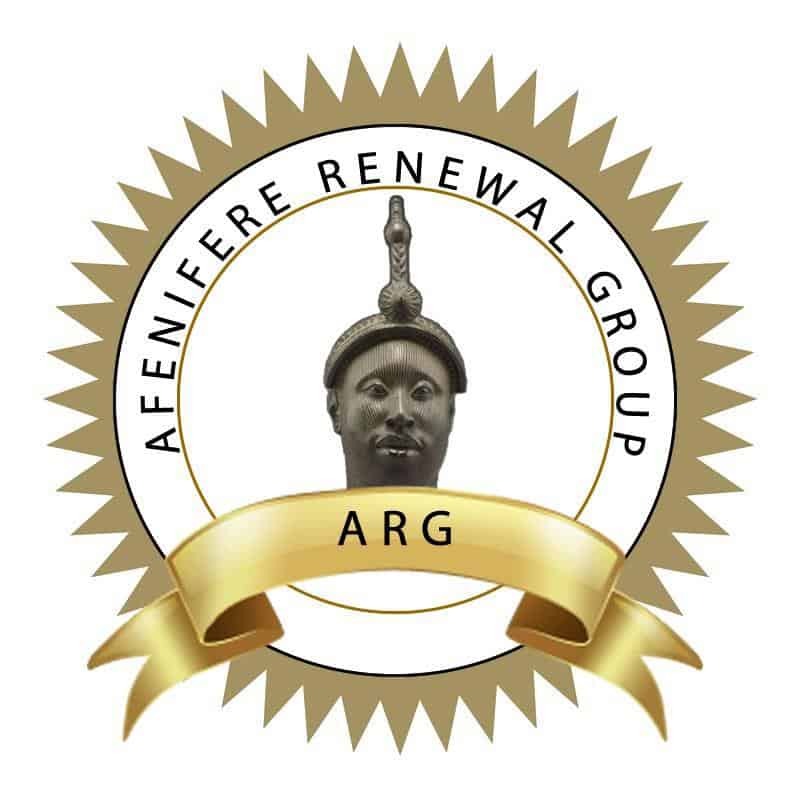 So, before they start selling us as slaves, we must insist on Nigeria’s restructuring,” Afenifere said.